Are you fed up of shaving the same area on your face, again and again, to get rid of unnecessary hairs? Do you feel frustrated at the amount of pressure that you need to apply to have a decent shave? Say goodbye to all of these concerns as you welcome the Braun Series 5 5040 Men’s Electric Foil Shaver. 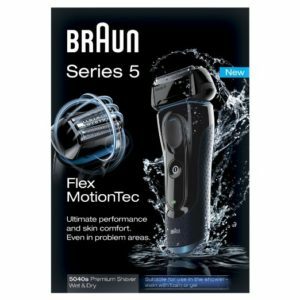 True to its brand name, this powerful electric shaver from Braun has been designed to make shaving an exciting and effortless experience for you. Enjoy smooth shaves every day without exerting any pressure, as the technology of the electric shaver takes care of the rest. 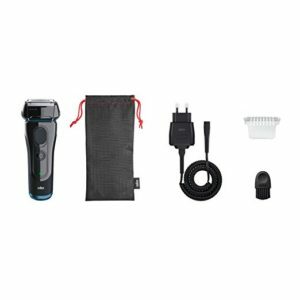 Take a look at our electric shaver review so that you will get to know if it is worth your money. The retail price of this shaver is around £200, but you can find it for around £90 online. This shaver from Braun is designed to reduce your effort/pressure while shaving and it does the job perfectly well. We recommend this electric shaver and it has 4.4 out of 5 stars with over 85% over 4 stars, and less than 10% one star. This is one of the top ten best-selling razors out there.